“ 1. A driver or responsible person must undertake a daily walkaround check before a vehicle is used. As a driver, DVSA recommend this check is carried out before you first drive the vehicle on the road each day. This means that an Operator must have a comprehensive, documented defect reporting procedure in place, that will allow documented defect checks to be carried out by trained personnel. Any defects found during those checks will be notified in writing to an appointed person to action. Any rectification work carried out should be completed by qualified personnel and proof of works completed provided (e.g. worksheet). Once completed, all paperwork relating to the defect is collated and retained within the relevant vehicle file for a minimum of 15 months. It is important that vehicles are maintained so that they are mechanically in good condition. Regular Service Inspections (Sis) sometimes referred to as Preventative Maintenance Inspections (PMIs) are an essential part of a comprehensive maintenance plan. How can TAC help with Defect Reporting & Vehicle Maintenance? 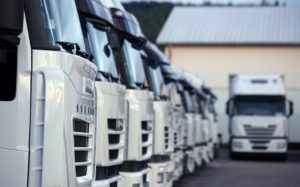 TAC can help support your business by working with you to implement a comprehensive, documented process and procedure to ensure that defect reporting, rectification and vehicle maintenance is managed effectively in line with the undertakings and obligations as set out within the Operator Licence.